She Smashed Social is an online toolkit written & presented in a way that easily walks you through the required steps to create a year long social media content plan for your business. It will arm you with ideas for what to post, help you plan content, teach you how to boost posts effectively, go live with confidence, leverage influencers & create engaging imagery. All with just a couple of hours dedication every month - seriously, this is going to save you so much time so you can focus on the rest of your business. You can choose to be guided month by month, accessing all the resources you need on the 1st of every month online OR access everything today so you're ahead of the game. ✨ I have 2019 trending events all mapped out for you in a snazzy digital calendar. 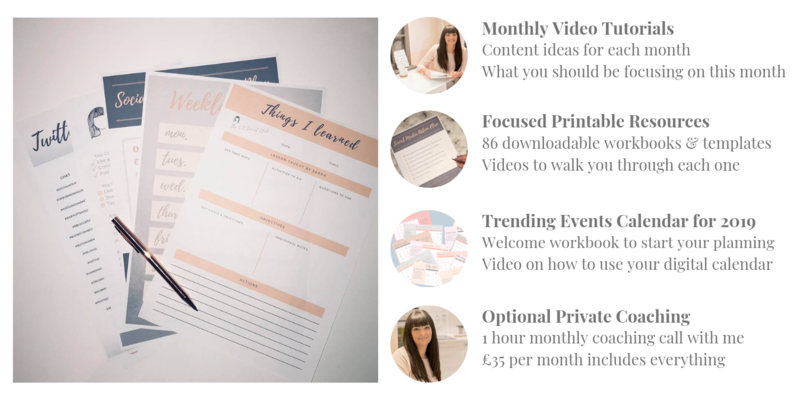 ✨ Every month, I will walk you through potential content ideas for that month via video, as well as tell you what you should be focusing on for the month. ✨ You will be given access to a bundle of workbooks, templates & checklists every month that teach you everything I coach to global brands such as ITN, Heineken & Harvey Nichols. 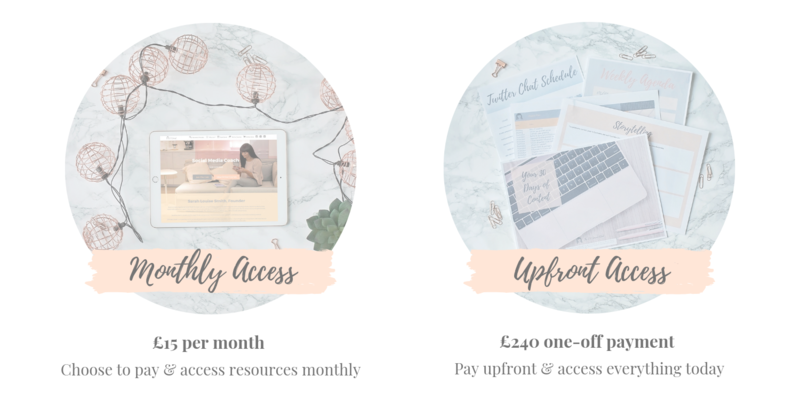 ✨ These resources will be explained in a short video from me, where I explain the background to why I have produced them for you & how you can implement my tips to save time & make money. Hello! I’m Sarah Louise Smith; an expert social media strategist, consultant and trainer. I am artistic and a bit of a nerd when it comes to technology, and it is this combination that allows me to build successful social media campaigns. After starting my own business in 2015, I developed a vision to help other female entrepreneurs find their passion, their confidence and their followers, so they can attract others to buy from their brand. Over the past 14 years in the advertising and social media marketing industry, I have helped global brands and hundreds of busy professionals. I was recently invited to No. 10 Downing Street to collect an award for 'Top 100 UK Small Business' and have been crowned 'Best Social Media Consultant in Yorkshire 2018'. Access All 2019 Content NOW!